Nokia has just announced a new Windows Phone “Nokia Lumia 620” that includes 3.8-inch TFT WVGA 800×480 Clear Black display and features Qualcomm S4 1GHz dual-core CPU . 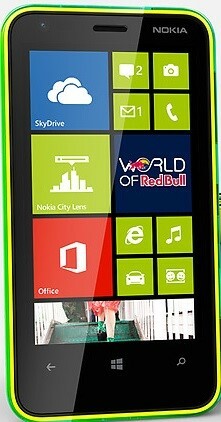 The Nokia Lumia 620 is powered by Windows Phone 8 and features 5 megapixel camera along with a front facing VGA camera. The memory is said to be 512 MB RAM with the storage of 8GB but interestingly it supports microSD card. Lumia 620 is said be available starting from January 2013 in Asia followed by Europe and Middle East.